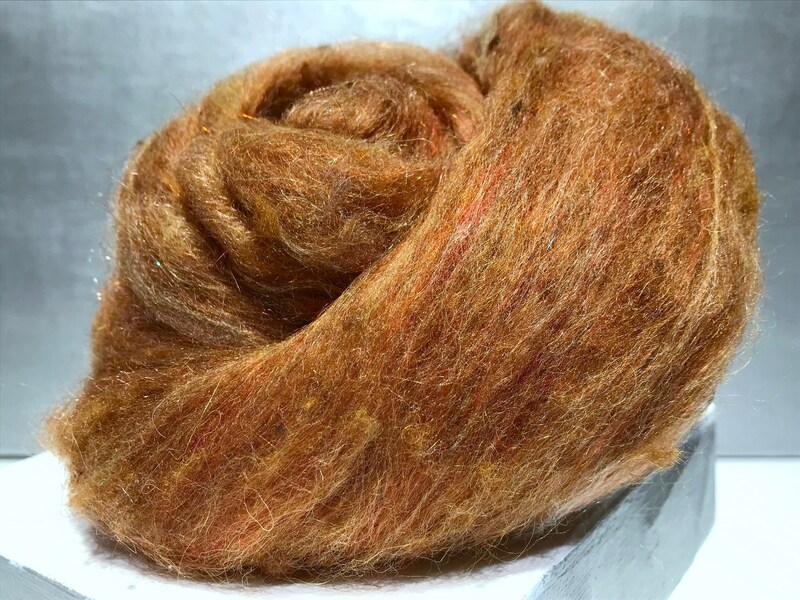 Perfect for needle felting, this batt contains contains a combination of commercial, hand painted fibers mixed with Angelina, Firestar and more! 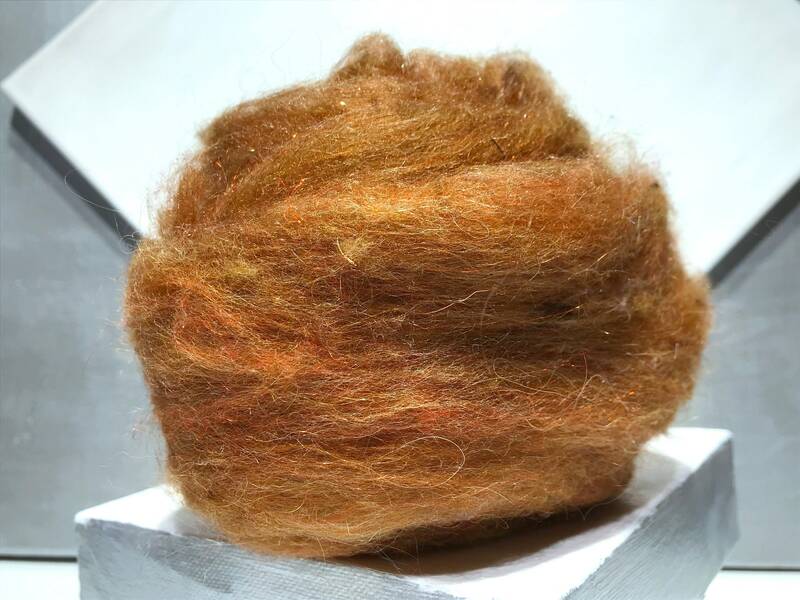 Why are we calling this a luxury needle felting batt? 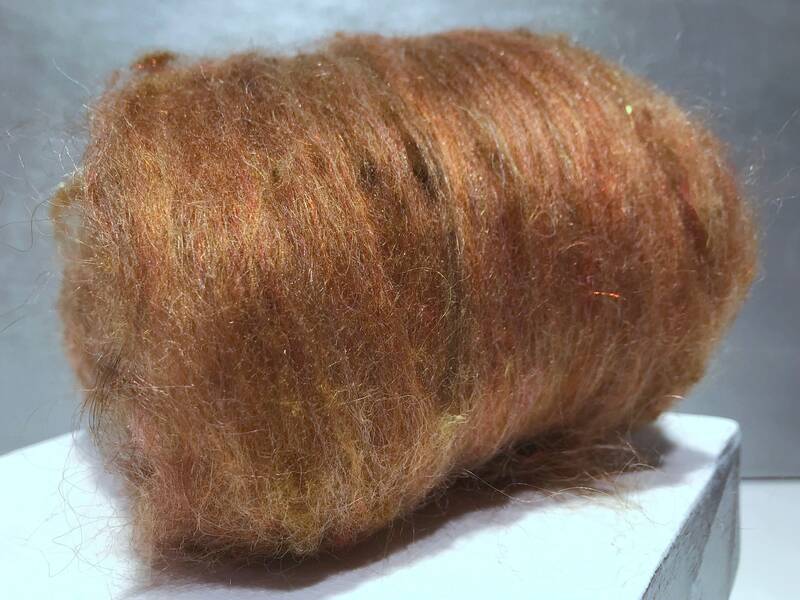 We saved the short fibers from combing fleece preparation, dyed them and then... blended them with silk, bamboo and other pretties to make them quietly spectacular! 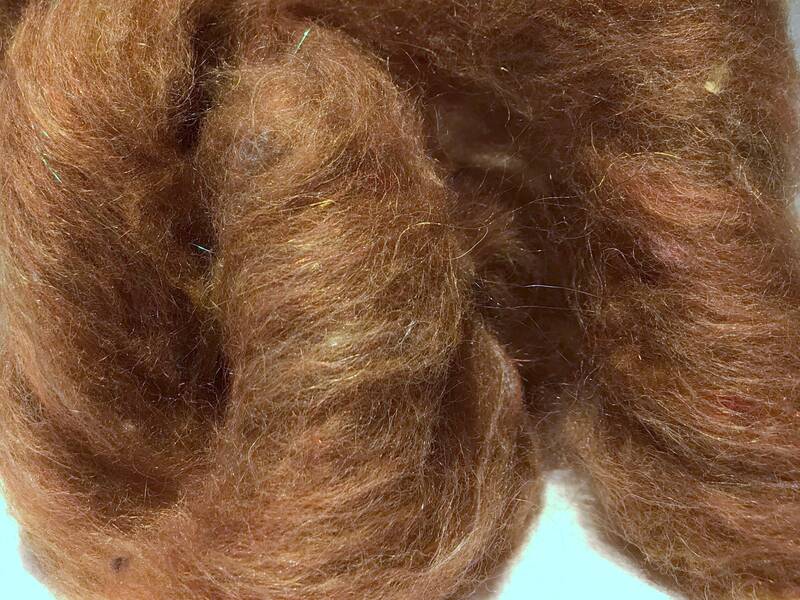 The short fibers will felt faster and create tweedy, tone on tone depth. Use them as "under painting" with complementary color schemes or as the final finish, they will lend the added pop! that your project is asking for. Can you wet felt these? 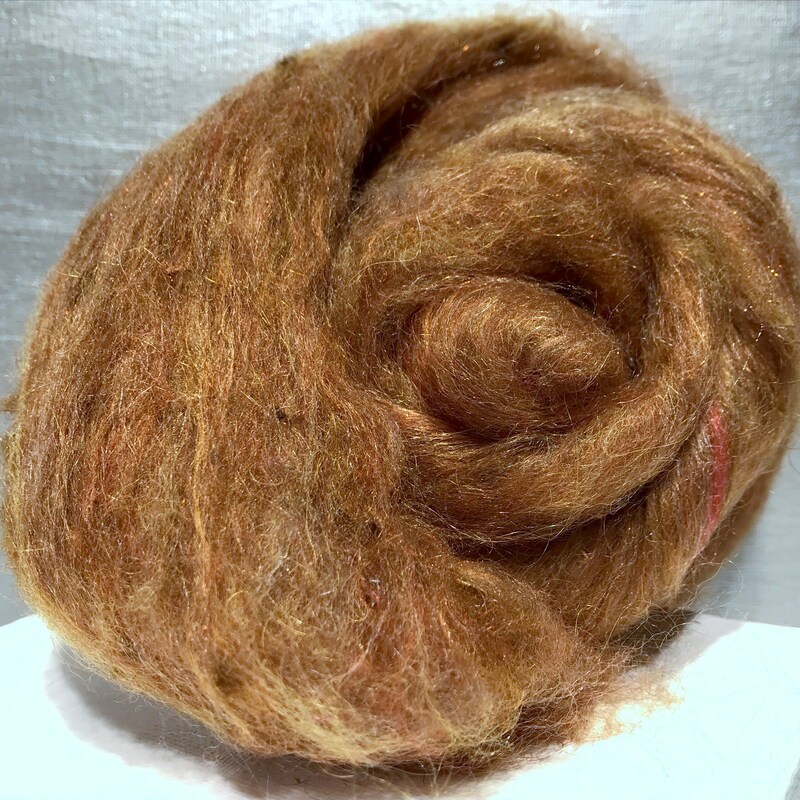 Yes, but you will want to treat them as an add-in between fine layers of wool for accent color and textures. They may not wet felt on their own. Can you spin these? Probably. 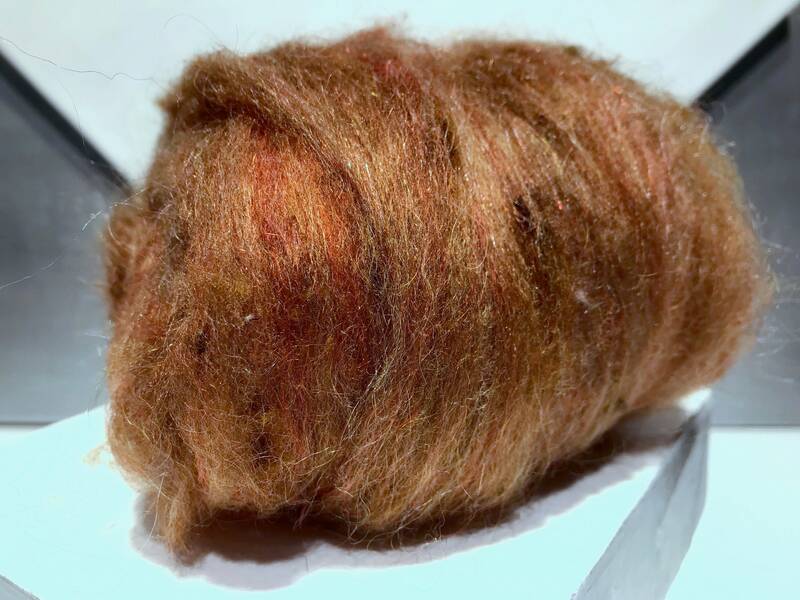 But again, we think they would best be treated as an add-fiber, given the shorter fibers involved. 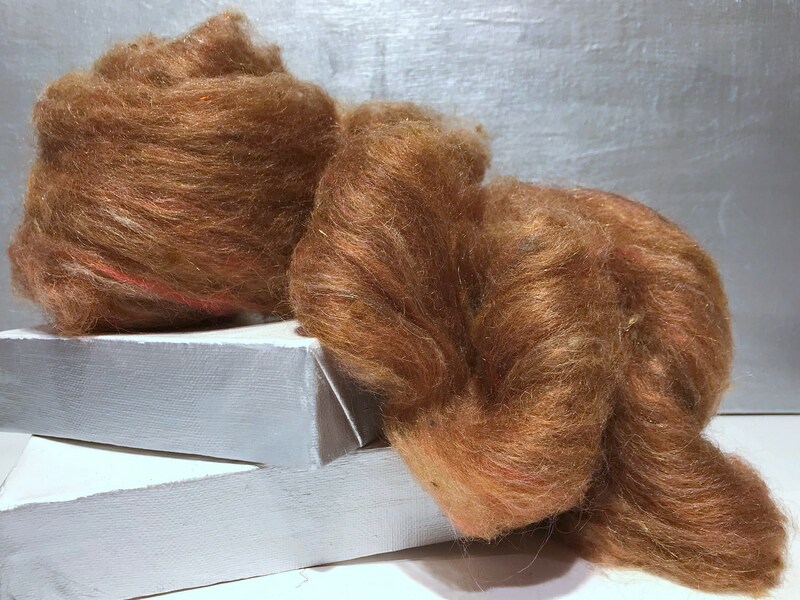 They are... fabulous needle felting batts. 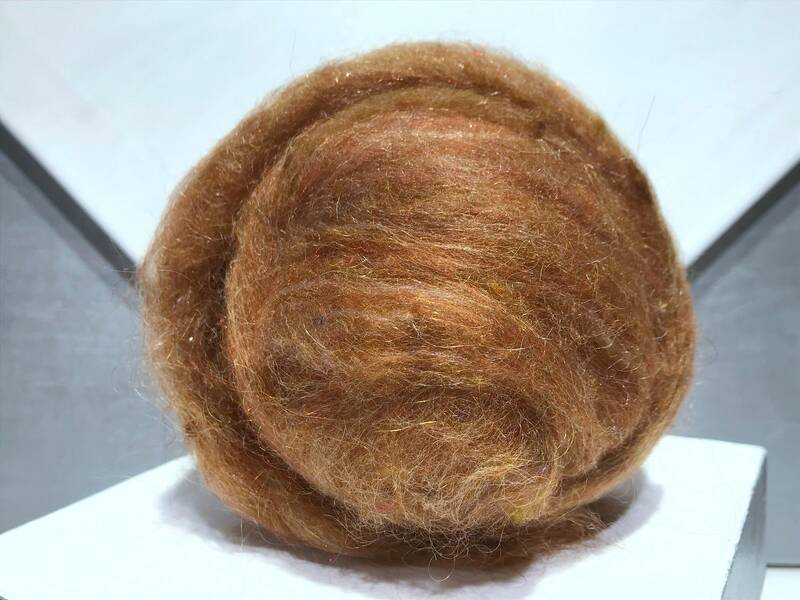 Keep in mind that because of the shorter fleece fibers involved, they will likely have a some VM that you will not find in our other batts. This will fall out as you work. 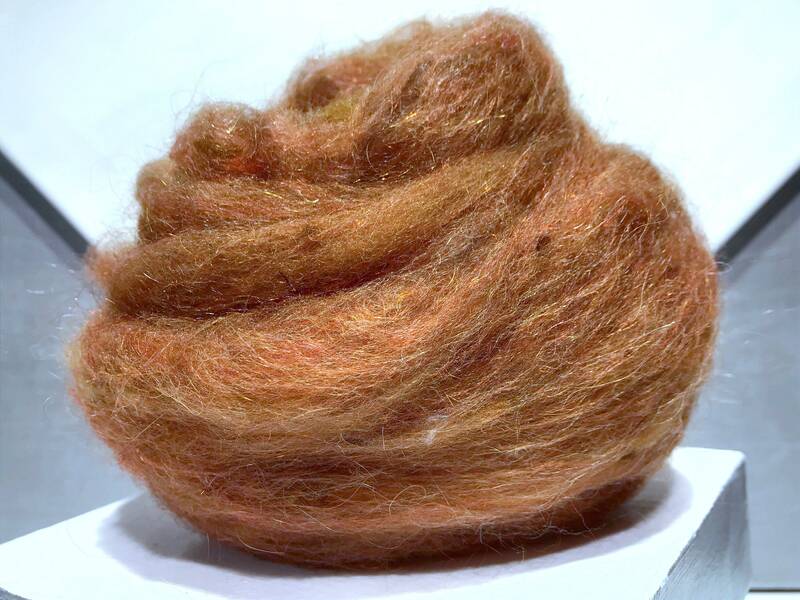 Love all the new fibers, thank you!